SECOORA is proud to unveil our new Data Portal! 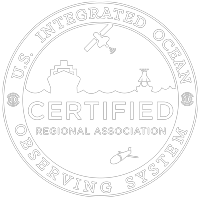 Use the tool to explore, download and visualize ocean and coastal data in the Southeast US. The data catalog contains searchable, downloadable data from all SECOORA-funded observational and modeling assets that include coastal and offshore stations (atmospheric and oceanographic data), IOOS Priority High Frequency Radar Stations, regional and sub-regional coastal circulation, water quality and fisheries habitat models. The catalog also aggregates data from federal and non-federal real-time and non-real time coastal ocean datasets (in-situ, gliders, profilers, drifters, satellite and models) in the SECOORA region. Stay tuned for a cookbook of how to contribute data and a detailed tutorial. For now, please view this webinar to learn more or contact vembu@secoora.org. Please “pardon our dust” as we transition to the new portal. Previous Previous post: New Data Portal!